We integrated a custom WordPress into complex design elements to get the powerful final product. This site is one of our favorites! The solution displays hundreds of their portfolio properties and allows them to add, remove and edit their portfolio with just a few mouse clicks. 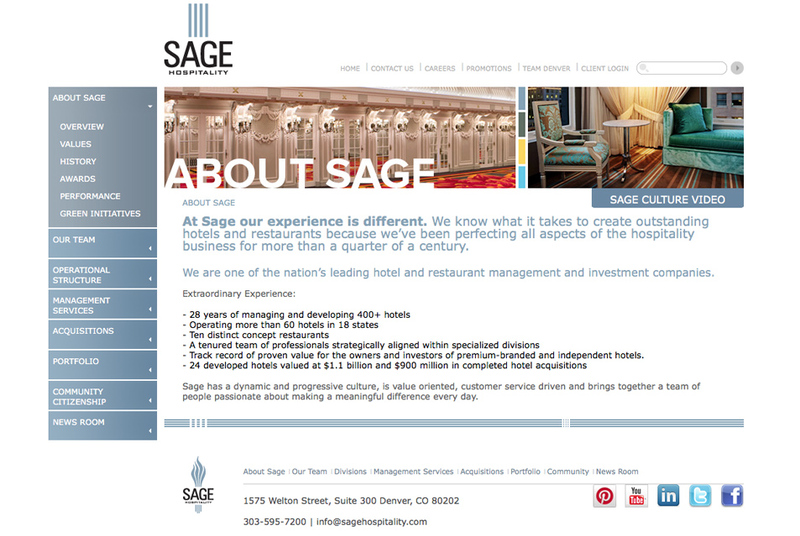 Sage wanted a site easy to use, check. They wanted something powerful to support their large portfolio, check. They needed a customized CMS so that they could spend as little time managing the website and more time running their business, check! Sage Hospitality is a fantastic company and we truly value companies who share a common high standard of excellence and passion about their business!